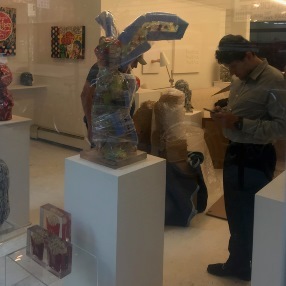 We are very proud to work with Art d’Aurelle Gallery, an amazing art gallery located at 52 Orchard Street, NYC! 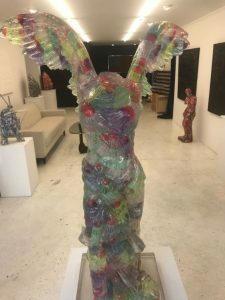 While there are many gorgeous galleries in New York, this one is indeed unique due to its truly fabulous selection of artworks made with the use of many unusual materials like plastic and resin. All of the items offered at Art d’Aurelle Gallery are absolutely mesmerizing, especially those created by Alben. 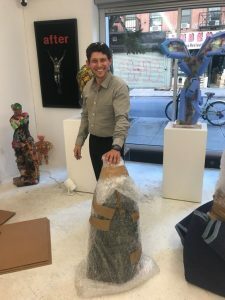 Packing and crating contemporary sculptures by this talented French artist was an honor for Fine Art Shippers, and we are very thankful for the chance to handle and ship his fantastic works! Alben is known for combining Pop Art with Classical Art, creating real masterpieces from seemingly simple materials. Packing and crating art like that is an incomparable experience even for expert art handlers dealing with various artworks on a daily basis. 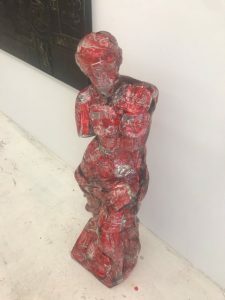 We especially loved a beautiful sculpture made out of Coca-Cola cans in the form of the Venus De Milo and the one made out of colorful shuttlecocks in the form of the Winged Victory of Samothrace. 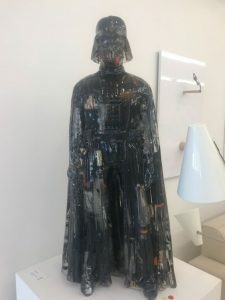 However, the most impressive item we were entrusted to ship was the black sculpture of Darth Vader. While all these fantastic works by Alben are not as fragile as glass pieces, they still require special packing and crating for the utmost protection in transit. For this reason, our team of art shippers wrapped each piece separately and packed it in a sturdy cardboard box filled with foam and special bubble wrap to eliminate any internal movement. 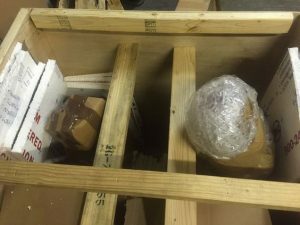 After that, the sculptures were secured inside durable wooden crates built by our team specifically for them. Thus, combining soft packing and crating techniques, we provide the transported items with the highest level of protection during the transportation process. Even if heavy objects are placed on top of our crates, you can be sure that nothing will happen to the art pieces inside! 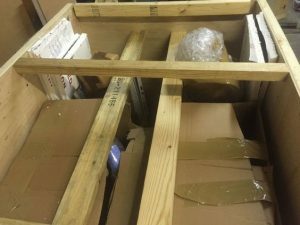 Finally, it is also worth noting that our art packing and crating services are tailored to meet any need. So whether you are shipping a small painting or a huge outdoor sculpture, we can pack and crate it for you in the best way possible. Plus, dealing with us won’t cost you a fortune because all our services are very reasonably priced, not to mention our free shipping quotes you can request right from this website.